Your "Commercial" Comments keep coming in ... here's another round for your post-holiday enjoyment!!! We're STILL getting some pretty good response to our recent "commercials" features ... it's amazing how universally memorable and appealing some of these spots actually were! And we've clearly inspired you to send along a few of YOUR favorites for the rest of the list to enjoy, too! Great job on all the versions of "She Let's Her Hair Down / Early in the Morning." I never dreamed there were so many version. By the way, the Tokens version is the one I know, because I was in college when the other version was playing in Chicago where I am from. So good to hear from you. I had no idea if this was a current site. I hope that I cleared up some of the mystery. In fact, I usually referred to the song as "She Let's Her Hair Down". I had forgotten that Bang used "Early In The Morning" as the title. 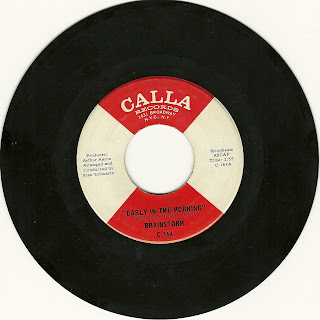 I forgot to mention that Calla had it out as "Brainstorm" ... same record minus the classical intro, released around March or April of 1969. I wonder if there is any record of the appearances I made in Houston (Larry Kane) or Cincinnati (Up Beat )?? Those were other cities where I made it to #1. (They sent video tape to many other shows ... I guess it was cheaper than sending me.) Check out the Ben E King CD. (Google "Ben E King cd I've Been Around") and you will get to hear portions from Amazon. Keep in touch. The transfer to BANG took place around the fall of 1969. I remember doing the Up-Beat show in Cincinnati and the LARRY KANE SHOW in Houston, one week before X-MAS 1969. In both cities the record was in the top three. 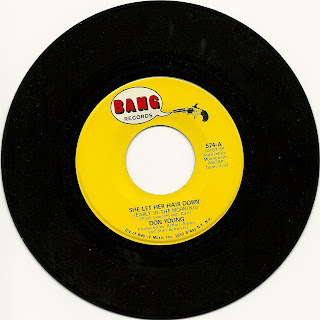 I recorded several more songs for BANG in 1970,however they were not released. Paul Davis wrote one ... he was on Bang at the time. I tried to scan the records but I had a problem so I may just take a photo and send that. I find it interesting that you have a BANG record that lists Early In The Morning as the title??? Hope that information helps clear things up. http://www.60sgaragebands.com/cameosjingles/endorsementsjingles.html I must have been anywhere from 5 to 8 years old when the Windsong jingle was popular, and I still haven't forgotten it. It has to be among the best remembered jingles of all-time. Another favorite -- I was a little older when first hearing it -- was the Pabst Blue Ribbon theme: 'I have Pabst Blue Ribbon on my mind; more and more likely I find; I've got the taste for livin'; I'm drinking cold Blue Ribbon; I've got Pabst Blue Ribbon on my mind.' I'd love to find that one. Mike Dugo has an AMAZING collection of commercials performed by Top 40 Hit Artists posted on his website ... I asked him to share a few of his favorites with our readers. The Hondells- “You Meet The Nicest People On A Honda”!! A commercial and a record. Oh Yeah, by the way ... what Girl Group sang the “Heaven Scent’ commercial? I may have missed that on your lists. 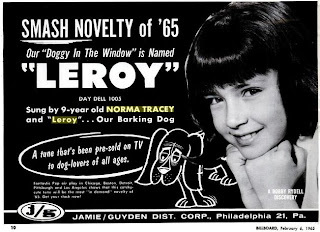 These old radio jingles of commercials are such GREAT memories for me. Only one commercial might have played more than the Heaven Sent one, it seems, on WLS and CFL. That would be the "Think Drink" commercial for the Coffee society. Almost ANYONE who listened to WLS and CFL back in the late 60's heard this one. Attached is the version used at the 1967 NAB meetings, but both WLS and CFL used their jocks just rambling about coffee's possibilities over the instrumental bed usually. I have both WLS and CFL jocks doing their seemingly ad-lib rants for a minute over this bed. How can you not remember and whistle along? I clearly remember a commercial jingle for a fragrance called "Charlie". I became a big fan of Bobby Short listening to that one. Yes, I remember all of the words. I can still see Shelly Hack strolling into that restaurant with Bobby Short on piano. "kinda young, kinda wow, Charlie!" Classic! 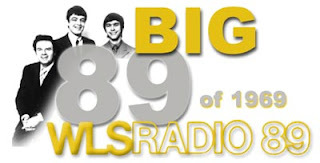 On this date ... on 22 December, 1966 ... the # 2 song on WLS / WCFL charts was "Kind Of A Drag" by The Buckinghams. There were so many radio and TV jingles that we sometimes got the jingles mixed up with the top 40. I and a friend of mine by the name of Jody were crusin' through Beverly, Illinois one night and a popular song of its time by The Buckinghams came on the radio. The Buckinghams, as all Kent's readers know, were huge in Chicago in 1966. It took me many years and many miles out of Chicago to find out that the rest of the country (and Jody) were not aware of the Buckinghams until about November / December of 1966. I was really surprised years later to find out that their earlier efforts, such as "I'll Go Crazy", "I Call Your Name" and "I've Been Wrong", weren't national hits. How ironic that their biggest hit never reached the top of the charts in Chicago but did nationally on Billboard. The competition between the two Chicago radio stations for #1 rating was hot. It was a common practice for all us teens to switch channels between songs so we could hear both stations DJs,songs and jingles. The by now famous horn section intro came over the radio and then Jody burst into song. "Canada Dry, when your baby don't love you". "Canada Dry, when you know she's been untrue". We had a good laugh after I put Jody straight about the real lyrics to the song. Just maybe Coca-Cola missed their chance for a nice radio jingle spot. "The Greatest Jingles Of All Time" might make a great Top 50 poll but I'm still partial to the person you suggested a "It Should Of Been Bigger". Top 35 poll. I think there are many interesting stories behind why some great songs failed to reach their peak. "Canada Dry is not the drink for me and you". "Canada Dry will at best be just # 2". Was there a jingle or commercial used for the song 'Happiness Is" by The Association??? Forgotten Hits has become a giant source of unbelievable music info. Congratulations, my friend. We never did a commercial for Canada Dry. I do enjoy Ginger Ale. We did a commercial for Mr. Norm's Dodge to get a free van and that's on the end of some album as it runs off towards the label, but I don't know which one. Hope to see you in Naperville on January 29th with The Cryan' Shames and Ronnie Rice.